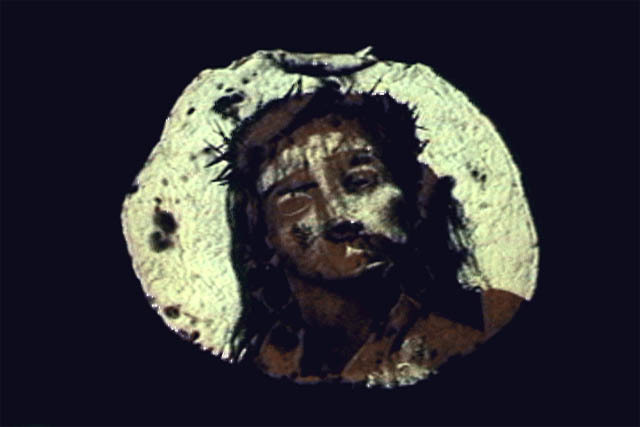 I Saw Jesus in a Tortilla is both comprised entirely from dissolving still photographs and a simple narrative story line taken verbatim from a newspaper article in the The Arizona Daily Star. It recounts the story of Ramona Barraras, a New Mexican woman, who saw the face of Jesus while rolling her husbands burrito. In an attempt to manipulate the media to her advantage in publicizing this miraculous event, the media ultimately exploited one of the most significant events of Mrs. Barraras’ life.